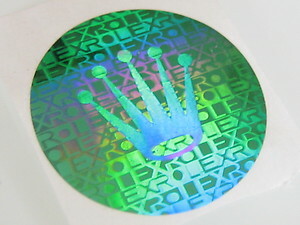 Should I peel the hologram sticker off the back of my Rolex or keep it on there for resale value? Alright, Peter, for the last time and I mean it! The old green sticker you have been collecting dirt under for the last 12 years is not going to increase the value of your Rolex on a trade or outright sale. Peel the nasty green germ collector off, clean the back of your watch with a soft bristle toothbrush, and let it breathe fresh air for once. The rumor of it having value even broke into the aftermarket parts arena for some time. Now you can buy rolls of fake green stickers, making it even more ridiculous. In short, don’t judge a watch by its sticker. The first thing we do is take off the bracelet, look at the numbers, inspect the movement, overall condition of the watch, etc. Sticker condition, stickiness and adhesive quality do not play into the value whatsoever. Buyers have never given it a second thought for resale and neither should you. I bought a box of jewelry at estate sale. It had a rolex watch in it. How do I know if real or not. Who should I take it to for advice. 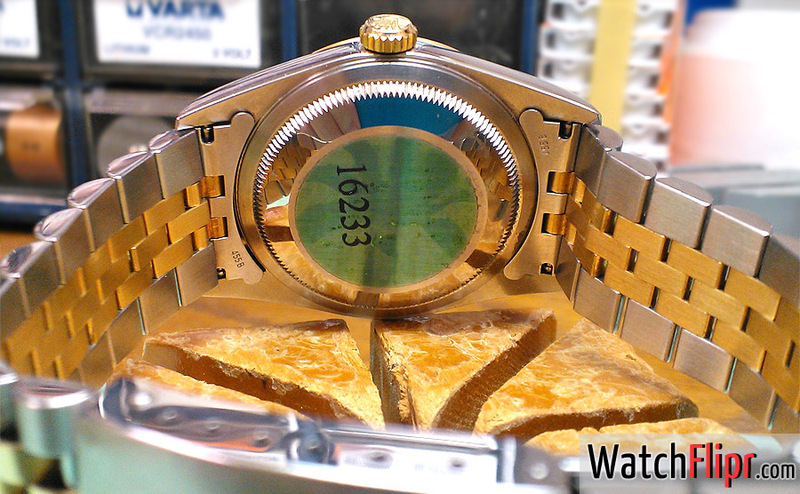 I never get it how some really old used Rolex watches still have the sticker on the back. Did they not wear them much or just super careful not to get any water or anything on the sticker? temes others are blogging about and post itt for yoir blog post site too. However, save for the closest friends, nobody generally seems to mind your website. Little Known Ways To (blank)AAn intriguing headline that demonstrates to youu are sharing insider information together with your reader. Hurrah! After all I got a webpage from where I be capable of really obtain useful information regarding my study and knowledge.